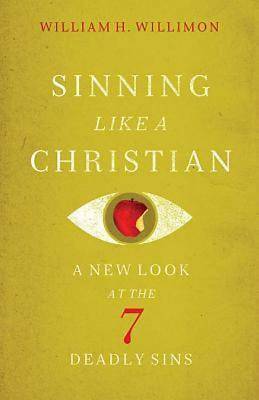 Sinning Like a Christian: A New Look at the 7 Deadly Sins , William Willimon. In preparation for Lent, where we will be preaching through the historic seven cardinal sins, I've been reading several books on the topic. This is by far the best, and is really the spine of my discussion. Willimon explores these sins in a way that is at points disjointed - the chapters feel more like meandering reflections than systematic studies - but consistently insightful and provocative. I found myself deeply challenged as I worked through the book, recognizing patterns and shadows in my own heart that I often overlook. Perhaps the greatest asset of the book is Willimon's ability to name these sins as normal and even a bit ridiculous while also helping us see the destructiveness of them. 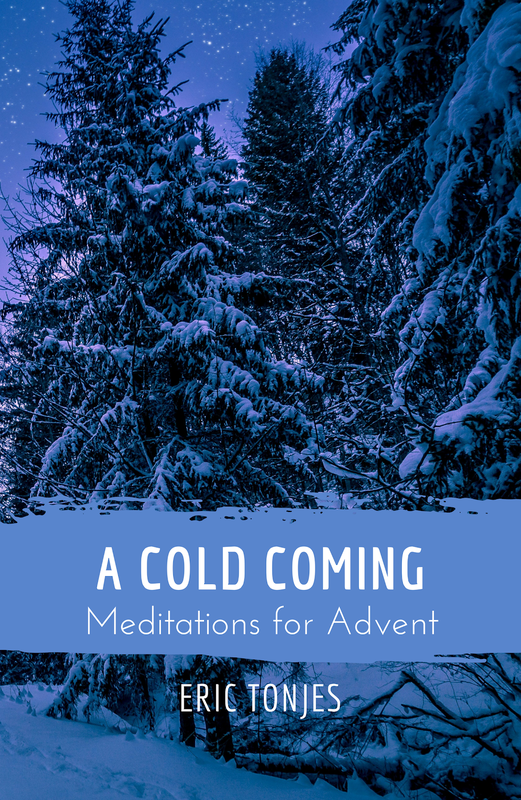 He particularly focuses on Christ as our example, reflecting on how evils which seem commonplace in our world are shown in stark contrast to the self-giving love of our Savior. 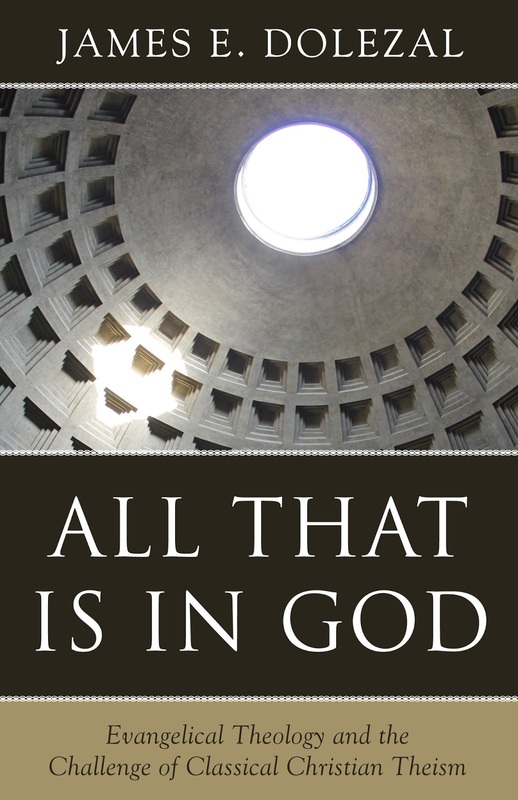 All That Is in God: Evangelical Theology and the Challenge of Classical Christian Theism, James Dolezal. A dense book that seeks to both review the tenets of classical Christian theism and challenge many modern attempts to reimagine it. 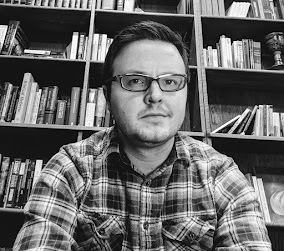 Dolezal works through topics like God's immutability, aseity (self-existence and independence), simplicity and eternality, both explaining the historic position on these beliefs and then challenging scholars in the evangelical and Reformed world who have argued in different ways against them. Some have criticized it for some of the particular scholars and positions he takes issue with, and this is not completely unfair. That said, it also represents (in my opinion) a good shot across the bow for those who probably haven't adequately wrestled with the doctrines they are rejecting or redefining. The book's strength, however, rests not in these critiques but in the succinct and clear explanations of why the church has historically held these views. While none of it was new information, walking through the arguments again was incredibly helpful. Even more, once I dug past the dense writing and mind-bending ideas, it was worshipful. God is not like us in fundamental ways. That is the reality that some modern revisionists are trying to avoid. Yet it is also a part of what it means to truly honor Him as God. 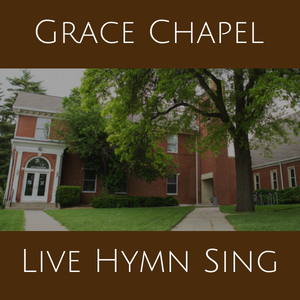 When we are brought to the place where words have been wrung dry and reason has been exhausted and we know that, while what we've said is true, it is but the outermost edges of a Truth beyond our comprehension or explanation - that is a place that calls us to praise. 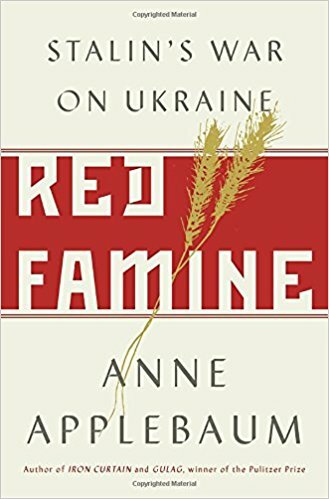 Red Famine: Stalin's War on Ukraine , Anne Applebaum. A meticulously well-researched accounting of the terror-famine inflicted by Russia on occupied Ukraine in 1932-33. For those unfamilair, this event stands as one of the staggering evils of the 20th century. While the numbers are notoriously hard to pin down given the USSR's purging of many documents related to the famine, estimates are that between 2.5 and 7.5 million people starved during this single year. Given that Ukraine's population in 1932 was about 32 million, that means we're talking about the death rates between 10% and 25% in one year. As Applebaum makes clear, this famine was entirely the fault of Stalin and the soviet government. At best, they ignored the famine, covered it up and continued to forcibly rob Ukrainian peasants of grain which they then exported overseas. It seems likely this was part of an intentional campaign to destroy Ukrainian independence by killing a massive chunk of the population and replacing them with Russian migrants. This is a very good book, although a heavy read both in terms of content (it is almost 500 dense pages) and subject matter (there is a long stretch discussing the widespread cannibalism that resulted from the mass starvation that is especially disturbing.) That said, it stands as a striking testament to both the evils of the Soviet Union specifically and to the hubris of intellectuals willing to sacrifice everything for the "greater good" more generally. Indeed, one of the things that struck me throughout was the utilitarian nature of so much of the thinking. Once the communist future was seen as an ultimate good and moral checks on power removed, it seemed to matter little how many millions of bodies were piled up as a foundation for that good. A warning to all of us that, when we start to accept that the ends justify the means, we can quickly end up excusing terrible evils.